The public OpenSim grids added 1,655 new regions this month, registered more than 10,000 new users, and grew active monthly users by 512. Meanwhile, Avination and AviWorlds are still down for the count, Logicamp suffered a devastating loss due to a ransomware attack, and SkyLifeGrid was folded up into Sinful Grid. Atek Grid was the big gainer in land area this month, with 675 new regions, followed by OSgrid with 543 and Kitely with 258. InWorldz was in the lead when it comes to attracting new users to OpenSim, with 2,185 new registrations, with Kitely close behind at 2,077. InWorldz and Kitely are both commercial grids and work hard to market themselves both within and outside the virtual worlds community. Virtual Brasil registered 1,096 new users this month — though its active user count actually dropped. OSgrid, a non-profit registered 406 new users, followed by The Adult Grid with 381 registrations. 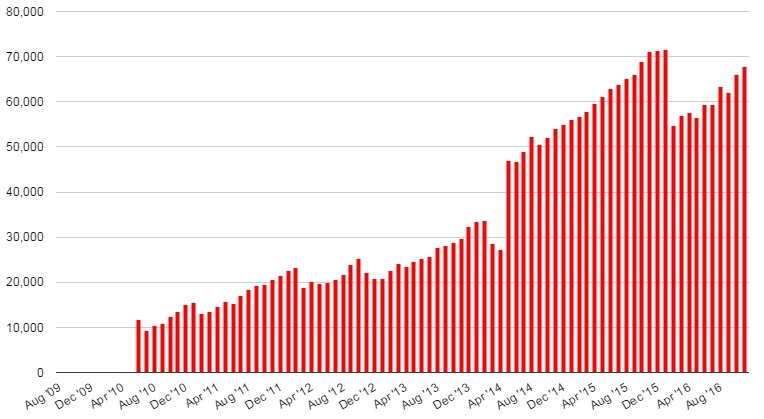 The total number of registered users on the active public OpenSim grids is now 499,360, still below its peak of 552,863 in June, which was just before Avination went down due to hosting issues. The big gainer this month was Eureka World, which gained 174 actives for a new total of 516 unique monthly users, just short of making this month’s top ten list. The Brazilian grid AllCity gained 164, for a new total of 981 active users. The educational grid EdMondo gained 148, for a new total of 374. Another educational grid, Islands of Enlightenment, gained 124 for a new total of 251. DreamNation, which was the biggest gainer last month, gained 108 new monthly users, for a new total of 565 actives. 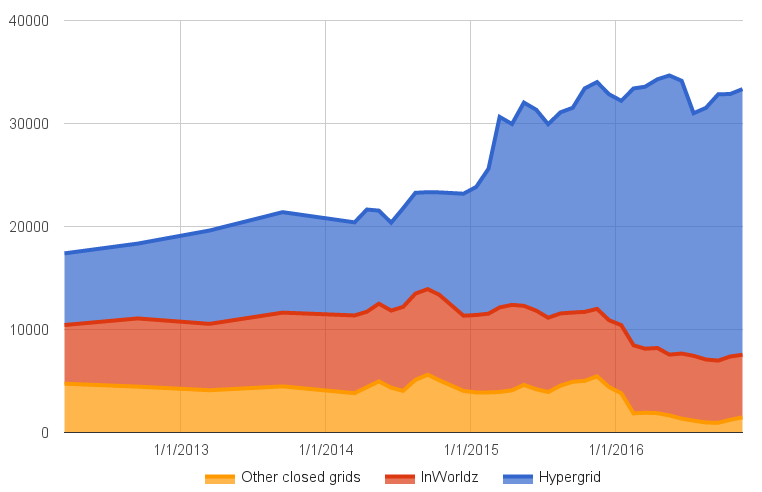 In fact, InWorldz now accounts for 81 percent of all active users on the closed grids. The 44 other closed grids have just 1,466 active users between them, mostly due to growth on Islands of Enlightenment and on DreamNation, which is the second most popular closed grid. 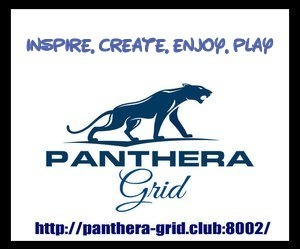 The Adult Grid is third, with 301 active users, followed by Islands of Enlightenment with 251 and Virtual Highway with 191. All other closed grids report 30 active users or less. A closed grid is one that does not allow its users to travel the hypergrid. Closed grids also typically run all the regions on their grids, while open grids like OSgrid, Metropolis, ZetaWorldz and Atek allow users to connect regions run by third-party hosting companies, or that they host themselves on home computers. In addition to showing gains in all grid statistics, the Kitely Market continue to grow this month. There were 615 new item variations listed, in more than 200 new products. 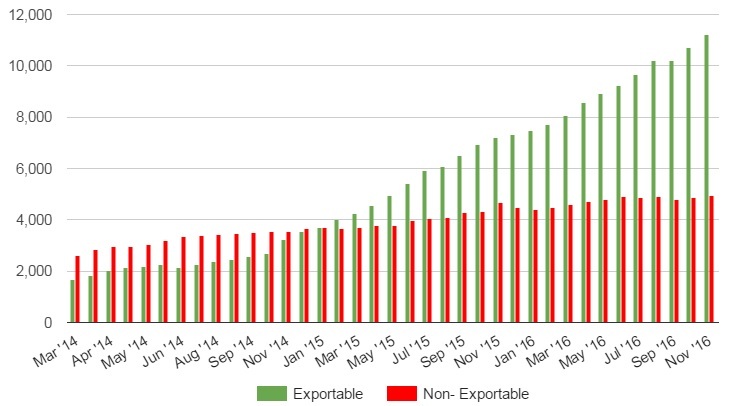 Growth in exportable and non-exportable content on the Kitely Market. Like Amazon and other e-commerce sites, the Kitely Market does not list variations as separate products — multiple colors of the same dress, for example, are grouped together into a single product. Merchants can also offer different payment options, and different permissions — including the ability to take the purchases to different grids. 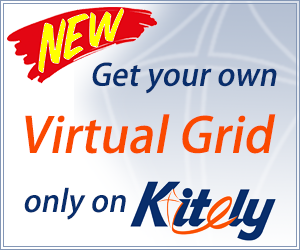 Today, Kitely offers direct delivery to 160 grids, more than half of all the currently active public OpenSim grids. But it wasn’t all good news for the grid this month. The grid was down for a little under three hours on Monday morning, due to problems with its Amazon hosting. The growing number of regions on the grid caused the system that generates region performance charts to slow down, which in turn caused delays on the storage system the grid database runs on, which in turn slowed down the entire grid, Kitely CEO Ilan Tochner told Hypergrid Business. “We’ve now disabled this subsystem until we have faster storage or optimize the graph generation,” he said..
Tochner added that the grid’s data was never at risk. There are multiple backups in multiple data centers, he said, and this is the first time that Kitely has had issues with Amazon in years. At the end of August, OutWorldz grid owner Fred Beckhusen released a simple installer for OpenSim called Dreamworld. Dreamworld makes it easy for individual users, schools, or small companies to install and run a mini OpenSim grid on their own computers, for free. In the past two weeks, Dreamworld has been downloaded 369 times and is being used to run 40 new mini-grids, Beckhusen told Hypergrid Business, a quarter of which are hypergrid-enabled. Since these are, for the most part, small private grids that may only be up part-time, they do not show up in our monthly grid stats. The Hypergrid Safari will visit the Novale region on the CreaNovale Grid tomorrow, November 16, between 2 and 3 p.m. Pacific time. Then, starting over the weekend, the grid will close access to Novale for redecorating. We added five new grids to our database this month: Proyecto Alebri, Moonlight Grid, Alterworld Grid, Kingdom of Creation, and Virtual Final World. Previous story Linda Kellie is back at work!